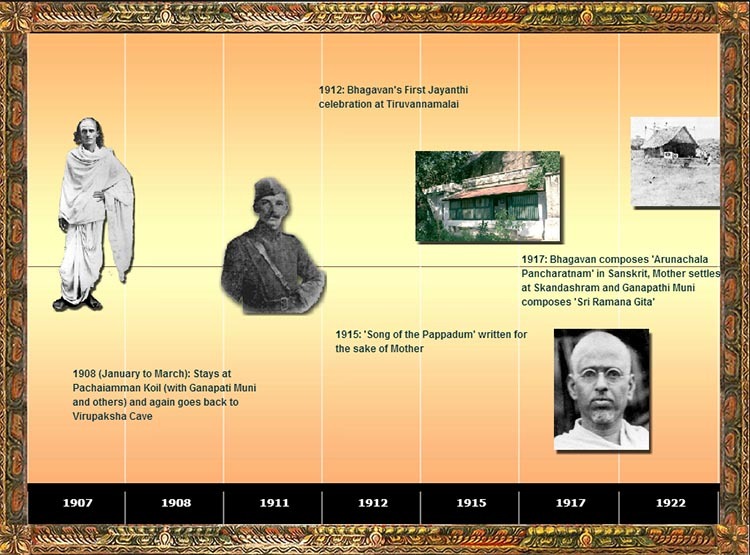 Interaktive Zeittafel: Klicken Sie auf das Bild (Life of Sri Ramana and Establishment of Sri Ramanasramam). Countless vishaya-vasanas (subtle tendencies of the mind in relation to objects of sense-gratification), coming one after the other in quick succession like the waves of the ocean, agitate the mind. Nevertheless they too subside and finally get destroyed with progressive practice of Atma dhyana or meditation on the Self.